One chassis-mount style N connector (at least 2 opposing mounting holes are needed), with Teflon insulation (not plastic). 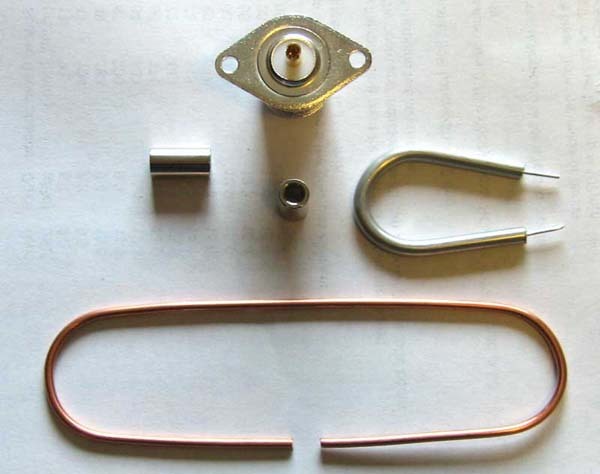 A piece of .141 semi-rigid coax for the 1/2 wave balun. The smooth part of a screwdriver handle makes a good form for bending both the balun and the dipole element.